Much like in the other Semifinal, the higher seed jumped out to a hot start. For the 6th-seeded ’84-’85 Edmonton Oilers, it started just 41 seconds into this Game 1 when Dave Hunter potted home his 10th goal of the tournament. Just a few minutes later, Ville Nieminen of the 15th-seeded ’00-’01 Colorado Avalanche received a four-minute double-minor for charging. Edmonton cashed in on the PP thanks to Jari Kurri scoring his 12th goal of the tournament. Then in the final minutes of the opening period, Hunter scored his second of the game to finish off a dominant period for the Oilers where they more than doubled the Avalanche in shots on goal. Colorado finally got on the board a little more than halfway through the second period when Dan Hinote scored his fourth of the tournament. 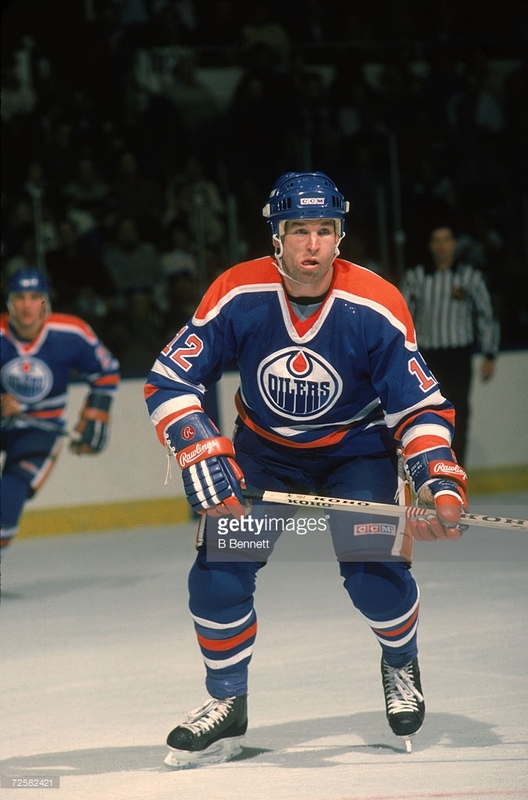 However, the Oilers retook a three-goal lead when Kurri scored in the final minute of the second period. Now down 4-1, the Avs desperately needed the next goal and unfortunately, that didn’t happen as Glenn Anderson scored a minute and a half into the third period, which resulted in Colorado pulling starting goalie Patrick Roy for backup David Aebischer. It didn’t go much better for “Bisher.” He gave up two goals in the period, including a short-handed goal to Wayne Gretzky and a second goal of the game to Anderson. The Avs did add another late in the game when Adam Deadmarsh scored on the PP, but that would be the last of the scoring as Edmonton took Game 1 by a final of 7-2. Edmonton takes a 1-0 series lead and will look to open up a 2-0 lead over the Avs on Thursday! Meanwhile, tomorrow, Game 2 of the Semifinal matchup between the top-seeded ’78-’79 Montreal Canadiens and the 12th-seeded ’74-’75 Philadelphia Flyers will take place! This entry was posted in Semifinal, Ultimate NHL Playoff and tagged Adam Deadmarsh, Colorado Avalanche, Dan Hinote, Dave Hunter, David Aebischer, Edmonton Oilers, Glenn Anderson, Jari Kurri, Patrick Roy, Paul Coffey, Ultimate NHL Playoff, Ville Nieminen, Wayne Gretzky. Bookmark the permalink.